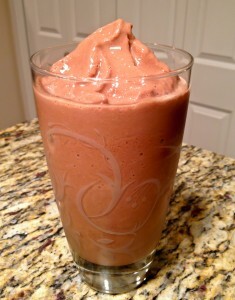 Local Recipe: Leanne’s Raw Cacao Chocolate Shake | Audio and video stories from Southwest Washington. In honor of Valentines this week, I am going to let you in on a little secret—my recipe for the most pure, chocolatey, guilt-free milkshake you have ever tasted! While standard milkshake recipes are loaded with refined sugars and artificially flavored chocolate syrups, moist dates and raw cacao powder are the two signature ingredients raising the bar for this win-win recipe in both taste and nutrition. With just a few creative modifications, I have transformed what would otherwise be an unhealthful indulgence into a wonderfully satisfying shake loaded with an impressive source of heart-healthy iron, magnesium, chromium, and fiber. The true essence of real chocolate is found in raw cacao, which is the unprocessed powder made from the chocolate bean. Consumed as an important food in Central and South American cultures for thousands of years, raw cacao is a healthy alternative to conventional, alkali-processed cocoa powder found in the baking section of standard grocery stores. Raw cacao can be used any place standard cocoa powder would be used and contains the distinct alkaloid compounds phenylethylamine, anandamine, and theobromine, which produce a mildly energizing effect when consumed. Blend up this guilt-free treat for a luxurious, heart-healthy Valentines delight and for future occasions to follow! Optional: toss in a scoop of protein powder, 1 Tbsp. nut butter or a handful of pecans, 2 Tbsp. hemp or flax seeds, or a large handful of spinach for an extra boost of greens. 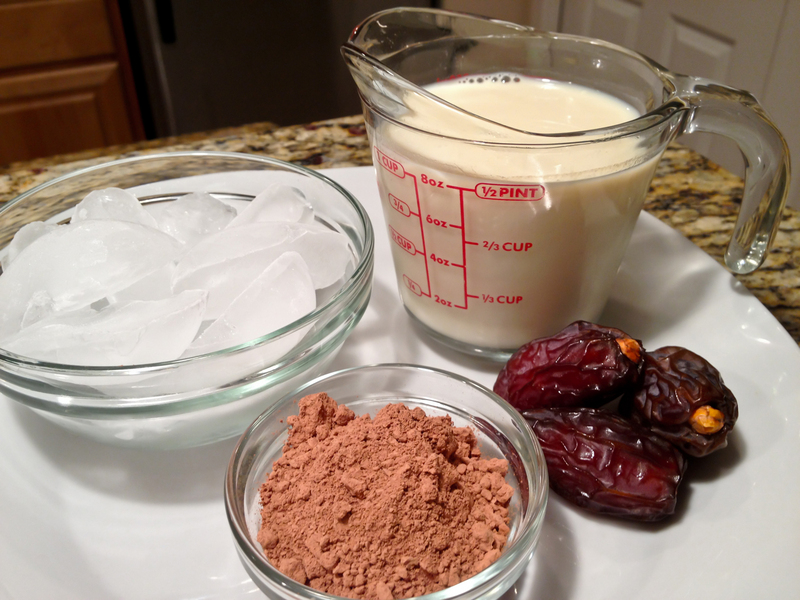 In a high-performance blender, blend the milk and dates until fully assimilated. Add the raw cacao powder and finally the ice cubes, blending until thick and creamy. For a thicker shake, use more ice.